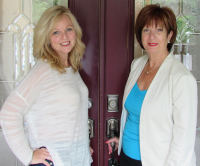 What are the "must haves" and the "want to haves"
Licenced & Trusted Full-Time Team, Rodeen is a Broker with 39 years experience, her team has extensive sales, staging, marketing and administrative experience. Generating the Best Possible Purchase Price in the shortest possible time under the most favourable terms with minimal disruption to your personal life. Reputable Service Professionals such as Real Estate Lawyers, Home Inspectors, Mobile Mortgage Specialists, Home Insurance Brokers, Building & Renovation Contractors, Home Service Providers, Property Surveyors & Appraisers.